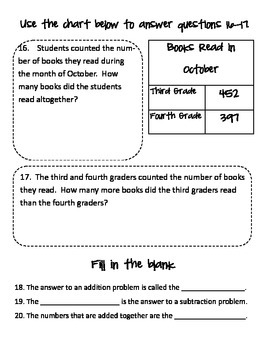 This test focuses on addition and subtraction skills for third grade. 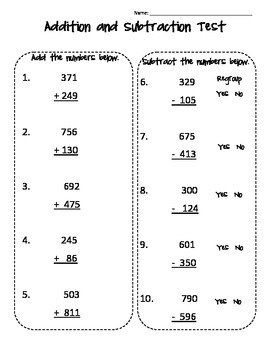 Students will add and subtract 3 digit numbers, including numbers that will be regrouped. Students will complete basic problems, word problems, vocabulary, and use charts to create problems.